All front office staff were polite, fun, and helpful. My dental hygienist was patient, thorough, and cognitive of my needs. I also enjoyed Dr. Miller’s sense of humor and thoroughness in explaining my dental situation and plan of action. Dr. Miller is a native of Utah. He was born and raised in Provo, Utah- the second of seven children- where he also attended and graduated from Brigham Young University with a degree in music. 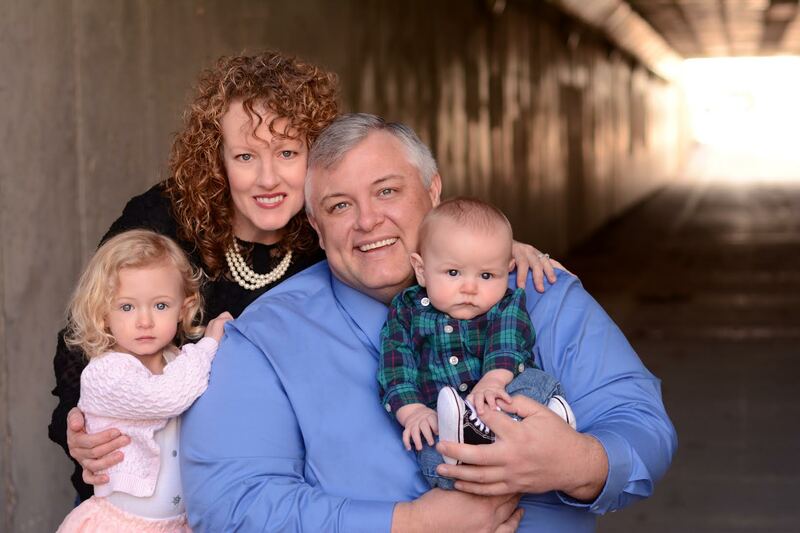 After completing a Master’s degree in music from the University of Utah, he changed direction and pursued a healthcare degree initially leaning toward pediatric medicine. During the Christmas break between 2002 and New Year’s Day 2003, he chose to go on a dental service mission trip to Honduras where he participated with 10 dentists and almost 100 others in providing dental care and other humanitarian aid to residents in Choluteca, Honduras. The lives changed on that trip led him to make the change from pre-med to pre-dental. He attended the University of Louisville School of Dentistry and graduated in 2009. Being a new and unmarried professional, Dr. Miller moved back to Utah and purchased a small practice. He started dating his wife Rebecca in August of 2010 and they married in January of 2011. They now have 2 children-Mary and Caleb- who are the center of their lives. Dr. Miller practiced in Utah from 2009 until 2015 when, looking for new opportunity, he sold his Utah practice and moved his family to North Dakota taking over the practice of Marlin MeHarry in Harvey. Dr. Miller is trained in placing both silver and white fillings, doing root canal treatments, gold and porcelain crowns and bridges. He offers services in removable dentures and partial dentures, TMJ therapy, pediatric dentistry, periodontal and oral hygiene. In 2005 he trained at the Whitecap Institute for Implant Dentistry to place conventional implants and most recently trained with Dr. Todd Shatkin, the president of the International Academy of Mini Implants in the Shatkin F.I.R.S.T.® technique of mini implant placement. He is excited to be able to offer additional services ranging from denture stabilization to full mouth tooth replacement in less time and for less money than traditional implants—in some cases the same day. Dr. Miller is pleased to serve the needs of the central North Dakota area. Make an Appointment Today! Call (701) 324-4861! We offer convenient appointments! Turn Your Dreams of a Beautiful Smile into a Reality!